Send this bouquet for any fall occasion and you’ll definitely make heads turn. 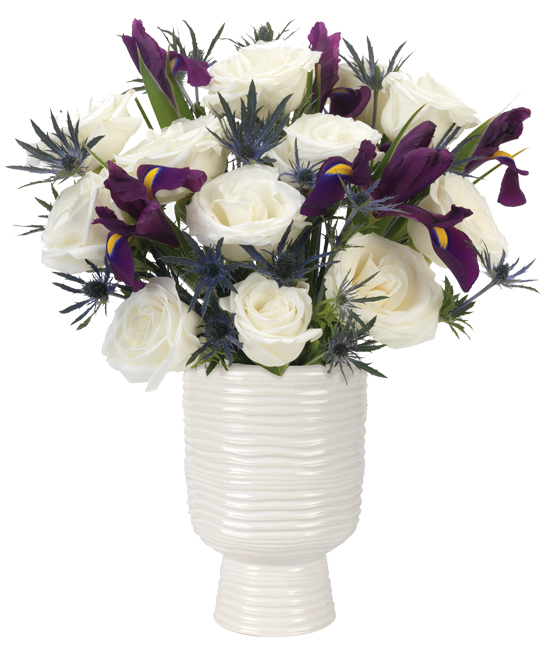 Our Monaco vase, a unique piece that blends fun and formality, is an entertaining way to display a gathering of our white Akito roses, blue Telstar iris, and blue thistle. 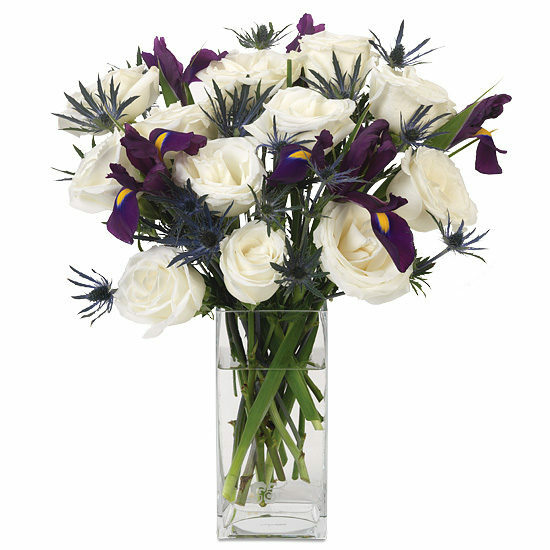 The contrasting blooms will arrive in tight bud to treat your recipient to quite a show of seasonal flair. Remove all foliage that will fall below the water line. Remove the “guard petal” from each rose – this is the outermost petal left on to protect the bud during shipment. You may also remove any petals that may have slightly bruised during shipping. We recommend cutting all stems underwater for best blooming results. Be sure to leave enough room to allow the ever-emerging iris to open fully. Add fresh water daily. Recut stems and change water every 2 to 3 days.